Hey everyone! Welcome to the Graveyard Shift, the nightly hang-out hosted by Kotaku’s reader-run blog, TAY. This is a place to talk about anything - your lives, your gaming habits, or whatever else you desire. Hop on in and join the discussion! When you’re done here, you could always go check out the articles over at TAY or Ani-TAY or the random blips of TAYClassic! Or, if this is your first time at TAY, please check out this TAYtorial! Hello there TAY! Welcome to another Wednesday edition of the Graveyard Shift! Please insert your Back to the Future reference here (I really don’t remember much about the movie, except that Super Ultra Duper Pepsi UI won’t stop babbling about). I just finished preparing the ground beff to grill a few burgers, can’t wait to eat them! Sadly I have to wait for a friend to arrive to start eating them, why? Well... turns out I have to go to the Miami airport super early tomorrow - when I say super early I mean 4AM early. And who do you think is taking me to the airport? No topic for today, just wanted to share what’s going on with me today, feel free to talk about whatever you want. Oh btw, that picture up there, definitely not my burger. That is one of the greatest burgers I’ve had in the last few months. 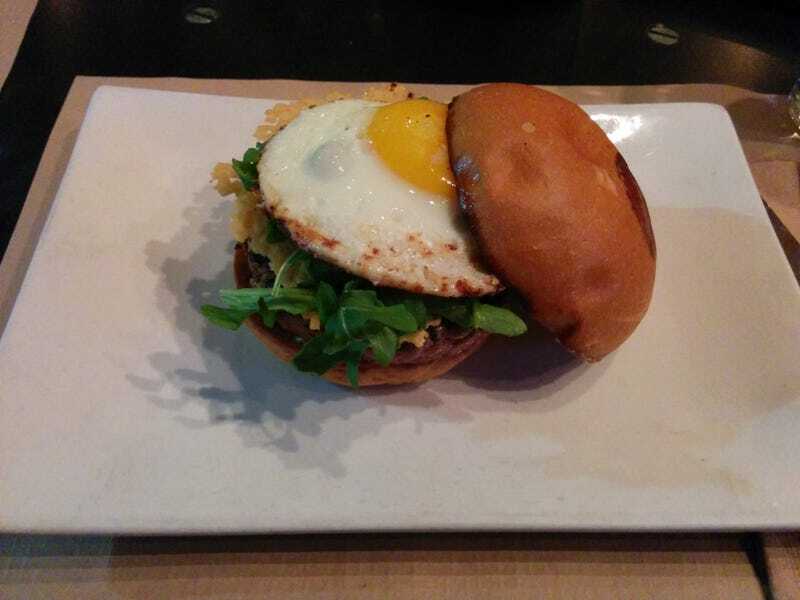 I can’t recall the name of the place but what I can remember is that it’s in Little Tokyo LA, and as you can see, the burger came with a fried egg on top of the beff.